Let me tell you a little bit about my sister Amber. She is 2 years younger than me, but 5 inches taller. When we were really little, people were always asking if we were twins. She got married when she was barely 20, and I kind of set them up. Basically, she owes her happiness to me. Making Amber's presents was really fun. Giving them away was hard, though- they turned out so good, I just wanted to keep them. She filled out my short and simple Christmas survey, and I discovered that she wanted Christmas stuff for Christmas. And that's the perfect kind of project for December. The first thing I made her was this frame and tree. It's pretty similar to the one I featured here. 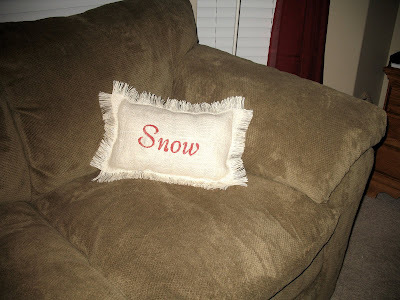 The second thing I made her was this cute pillow. I got this idea from Craftaholics Anonymous (except I just used regular stuffing, instead of grocery bags). I love how it turned out. Burlap is my favorite material (the soft kind, from Joann Fabrics), and I was excited to make something a little different than my usual papery crafts. To see the post that inspired me, click here. And finally, her Big Present. The one I could not stop staring at. I was so proud of it! 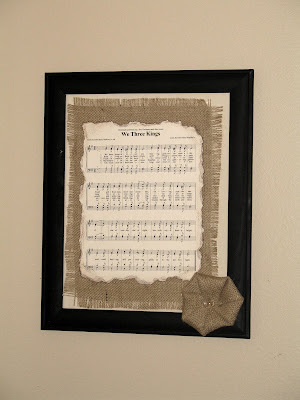 It's official name is "The Sheet Music and Burlap Frame," and I also got this idea here at Craftaholics Anonymous. Noticing a theme? 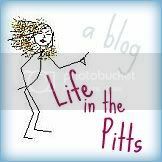 You should probably go check out that blog. But first, let me explain what I love about this gift. The Burlap, of course. and the fact that everything is done on top of the glass, so you can touch it if you want to. That just makes it seem so much more friendly than something stuck behind the glass. And I love the music. I asked Amber what her favorite Christmas Carol was, and I printed it off a sheet music website, onto off-white card stock (I love personalized gifts). Then I distressed the edges. It looks kind of like it's been burned when you see it in person. And finally, the flower. The tutorial for this 2 Minute Fabric Flower is here, also at Craftaholics Anonymous. You might recognize it from the Magnet Board at the bottom of this post. 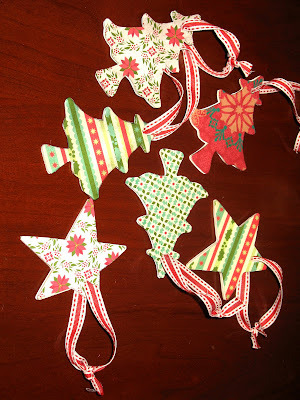 Oh, and before I forget, I also made these ornaments. I made one for each family member; the girls got Trees and the boys got Stars. I was really excited because since we celebrated with my family on New Years, I was able to get these wood ornaments on sale the day after Christmas. Score! Well, I should probably go. I need to get started on next years presents. Her gifts turned out perfectly. They fit her so well! They're so unique. The sheet-music one is one of my favorites that you made for her. 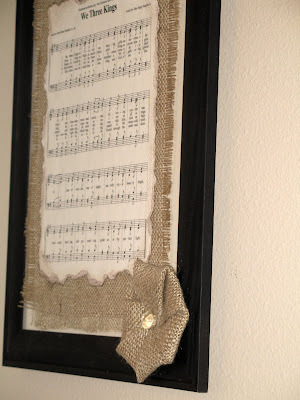 I have to agree with the burlap/sheet music ON the glass picture though ~ totally fabulous!!!! LOVE IT!!! !